Scott Dutton's website is Catspaw Dynamics and you can see his process for this color work. He takes bits from the original cover, cleans it up, and gives it a new spin with a fresh color perspective. 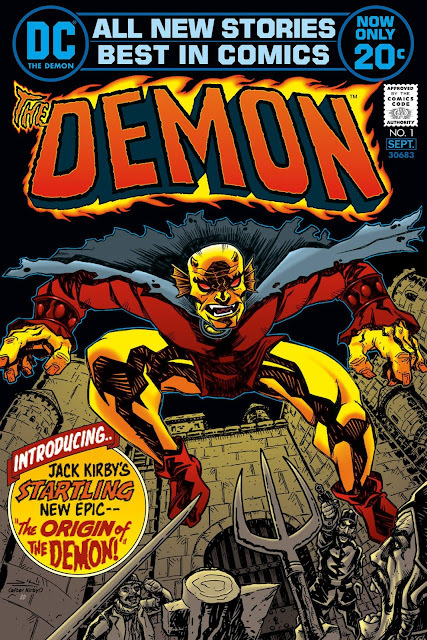 I've been following Scott on Facebook and he has recolored a number of remarkable classic covers. Here is Scott's take on Kirby's original Demon #1 cover. I really dig how he did his own take on everything, even the DC masthead on top. 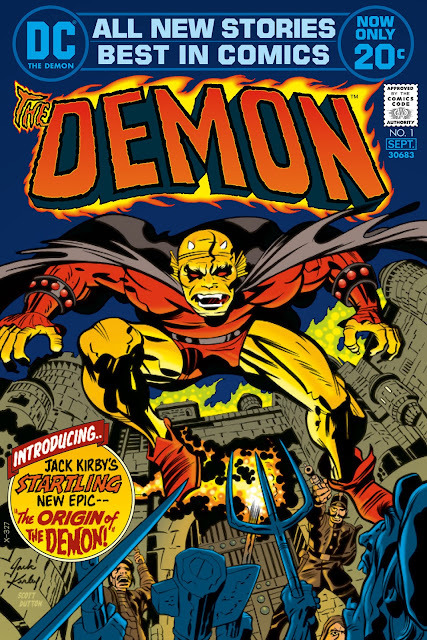 Rise the Demon, Etrigan! Nuff Said. Thanks for the plug, Richard. Much appreciated.